My family received four pairs of shoes for this post. I also received three nice e-mails and a thank you. I also received the look on my daughter's face when she opened the Frozen shoes (worth it).Thus endeth my divulgement of compensation. OK, funny story. About a month ago I posted this in a Facebook Group I belong to. I've been making fun of Crocs since my mom bought her first pair years ago. I mean, come on. They are pretty silly looking. Every time a new friend would show up to an event in a pair I would ask them if they had just finished gardening, and they would say something like, "You don't understand they are so comfortable!" Then I would say something about clown shoes, and they would continue enjoying their shoes despite my being an jerk who tells people why they shouldn't like what they like. I've grown up a bit since then, and I try not make fun of people's clothing choices anymore. Its not like I have any style. I wear a dad uniform. Slacks, polo, belt and shoes. Every. Day. If you love these, I still love you. And... then they e-mailed me and asked if I would like to participate in #Croctober, a celebration of the name of their brand and the month of October. As much as I LOVE month puns, I ignored the e-mail at first. But when I went back and started poking around at the samples they wanted to send, I was actually really impressed by the selection. And, honestly, the pitch e-mail was really well written and personalized. That makes a huge difference. So we e-mailed back and forth a bit and they ended up sending my whole family new shoes! Not only that, but we got one of the first pairs of their new Frozen Clogs, which sent my daughter into a belted version of "Let it Go" complete with sweeping arm motions, and pretend ice castle building. Stevie, Captain, and I got new shoes too! Honestly, I don't think I have ever seen a pair of shoes that so encapsulates my wife's personality than the red loafers Stevie picked out. And I've already received three compliments on the Men's Walu Chukka Boot style I picked. So I take it back. Crocs are cool. And now, you have a chance to get Crocs to... for your whole family! Just enter below. I will leave the contest running for the rest of #Croctober. I will also continue calling October "#Croctober" in casual conversation for the rest of #Croctober, not because I have any sort of contractual obligation to do it, but because it is going to drive Stevie nuts. Anyway, I hope you win! Ready... go! I've been the skeptic / judgey person for quite a while. Your post has me intriguied. Now if only #Croctober seemed as fun as #dinovember to help get my husband on board. Nothing, I repeat, nothing, will ever beat #Dinovember. Nothing. As a Crocs hater myself, Stevie's are really not what I expected. I'm impressed. I need to see of they come in other colors. These were the ONLY shoes my son who has autism would wear for YEARS. He will wear tennis shoes now but we still end up in our crocs quite often. #Croctober rocks! My husband loves his but they need upgraded. I love the red ones. I would make the switch to those! I've never tried crocs (and yes, made fun of them). Maybe now's my chance to learn my lesson! I already want like 5 pairs! *sigh* I fail at using the computer today. I have no idea what my comments are doing :P I officially fail at #croctober, and I probably could make it rhyme, but both the 7 month old and 2 year old are beckoning. I should get the 2 yr some crocs though! and me too :) Does anything really rhyme with croctober other than october? I guess I get close with something like promoter or poser, or body odor? lol who knows ;) It's like orange I'd have to make something up! sometimes they even wear them with socks. but I'll take some in blue. #croctober is when opportunity knocks. I saw some pretty cute crocs just the other day. I definitely wouldn't mind some coming my way! I can totally see the 11th doctor putting them on, shimmying his shoulders and saying, "What? Crocs are cool." 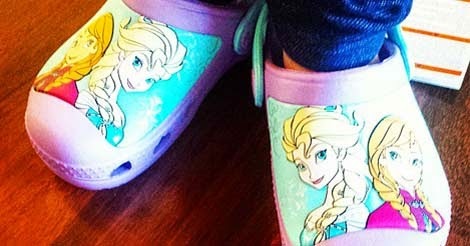 Hmmm, I've never owned a pair of crocs before, this could be amazing! I thought Crocs only made the gardening shoes, but the ones Stevie picked are super cute! Who knew?!? Croctober has hit me like a Crocnado! This is Croctacular! I've had one pair of crocs for the last 7 years and LOVE THEM. I have the Mary Jane style, so they're not so "clowny" looking, and believe me, I take some abuse for wearing them. BUT I DONT CARE. Because thats how awesome they are. I would love to win some new ones! some say crocs are lame, I say crocs are croctacular especially during #Croctober !! Crocs are the best shoes of all. My feet love them and Crocs love them back. You may want yours in red, or touched with a Frozen blue, but for me in the month of #Croctober, the only color is black. I'll try my #Croctober luck! Toes crossed. I'd love to win some crocs for my family in honor of #croctober, in the month of October, when there are leaves all over, and the weather is getting colder! #Croctober -fest! My family of 6 would think it's the best! I never ever thought I'd say this but...I'd really like to win some Crocs! And apologies if this appears multiple times - something is up with my Google account! My kids want to wear nothing but Crocs. My daughter's first pair of wedges were actually made by Croc, so I get it. Those frozen ones are awesome!! 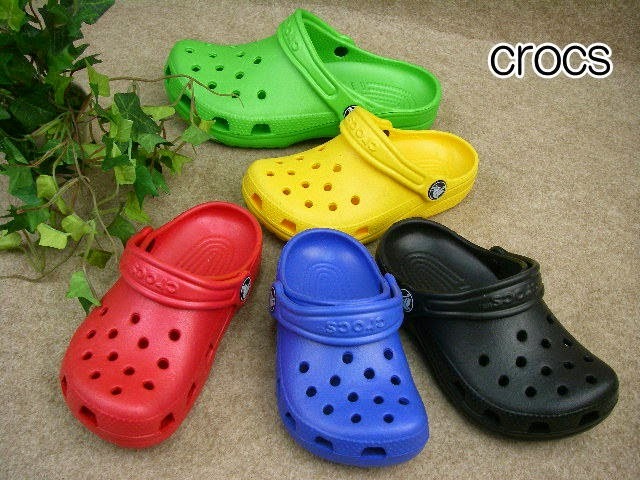 Those crocs are amazing and I would love to win. I've never owned Crocs. Now is the time to get with the program! Probably won't get them in time (if I win) for #Croctober, but there is always Crocvember and Crocuary.